Back in March, on my Facebook fan page, I announced that I would be working with Marie of MCM Portraits to give my invitations and products a better look. To take a quick step back, one of my goals for 2011 was to research and determine which DSLR camera I was going to purchase. The reason for this goal was that I wanted a more professional look for my products in their listing pictures. Well, after researching my options and evaluating my knowledge and abilities (or lack thereof) in photography, I decided it would be best to outsource this goal. That is when I turned to Marie of MCM Portraits. I have known Marie for quite a while. She took my engagement pictures and captured my wedding (oh so beautifully I might add) when I was married back in 2008. I have been able to watch Marie’s business successfully grow over the years as well (she is just about to move into her new studio). Marie is very passionate about her work, does an amazing job, is so friendly and fun, so I knew she was going to be the right photographer to work with. I am extremely excited to be able to show you pictures of the first design I had MCM Portraits photograph! 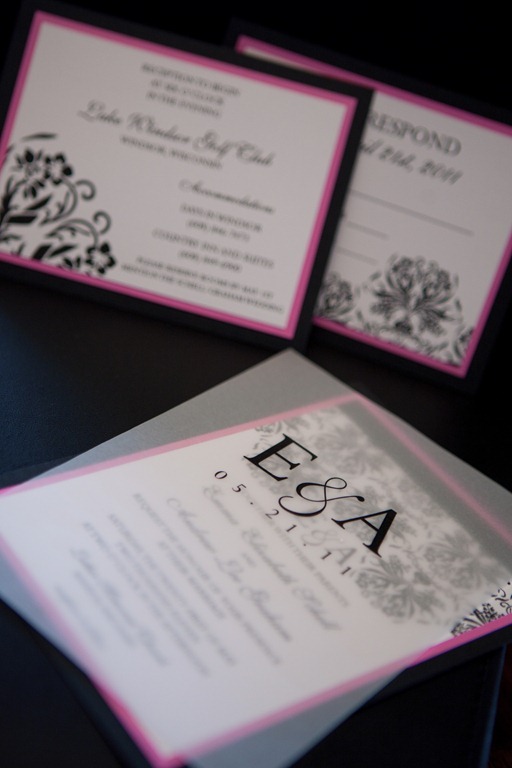 The first set I sent to Marie was the Grace design in a Hot Pink, Black, and White color combination. One of the things I asked Marie to do was find a background that we would be able to hold consistent with every product that we photographed. My goal with having a consistent background is to achieve a more consistent look on my website, on my blog, on my fan page, and in my Etsy shop. Marie found a way to incorporate a black background (something I had tried to do previously, but completely failed at; one more reason I am outsourcing this aspect of my business life). 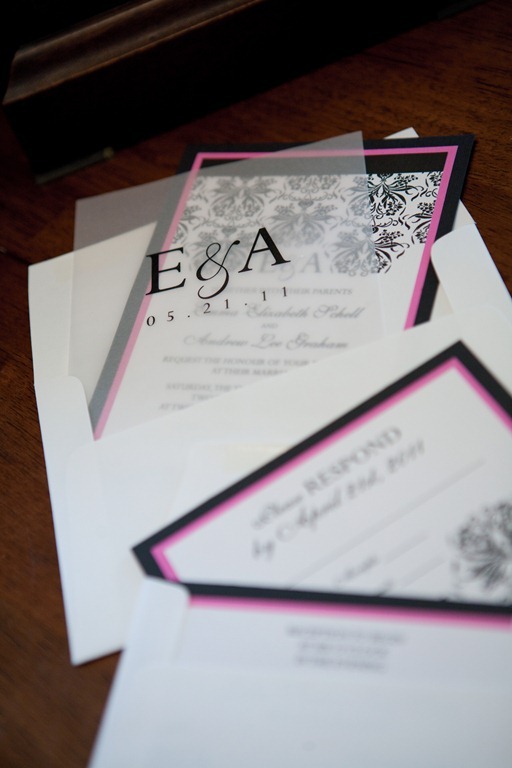 I love how much the pink color pops and is evident in the invitation. 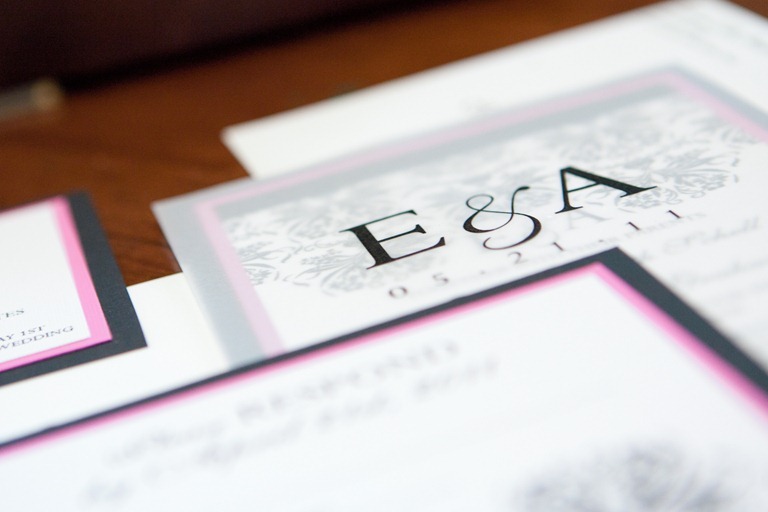 Another request I had was that one of the pictures have a close-up of some aspect within the design (it could be anything, just something to give a more “in-depth” look at the invitation set). I also threw out the idea of using props of some sort (once again, nothing specific in mind, I left it up to Marie). 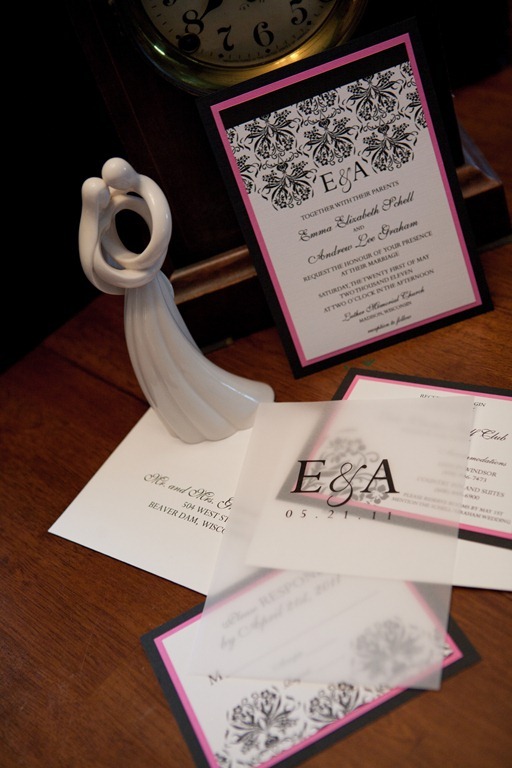 Marie found the perfect props and found a way to make a very flat invitation have a more dimensional feel to it. She has mentioned some other ideas she has in mind for future sets and I cannot wait to see what she comes up with next! With every product and design I send her way, I have asked Marie to allow me to have five total pictures to use in my product listings. I chose the next option as my fifth picture for this design – I liked the change in background (still very elegant). I also liked how the set looked like someone had just received it in the mail, opened it up to take a look, and set it back down on the table. Now, most of these pictures will be cropped into a square shape (required for my Etsy shop), but I just had to share the full fledged options! As I mentioned, Marie is currently building her new studio (she anticipates being moved in before the month of May is over). However, if you are in the Milwaukee, West Bend, Beaver Dam (Wisconsin) areas and are in need of a photographer, I highly recommend Marie of MCM Portraits. 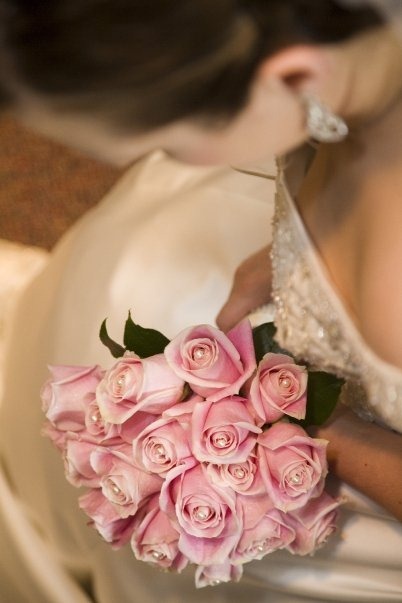 I do believe I saw on her Facebook fan page that 2011 weddings are almost booked, however, so do not wait too long to book her or you may miss out! 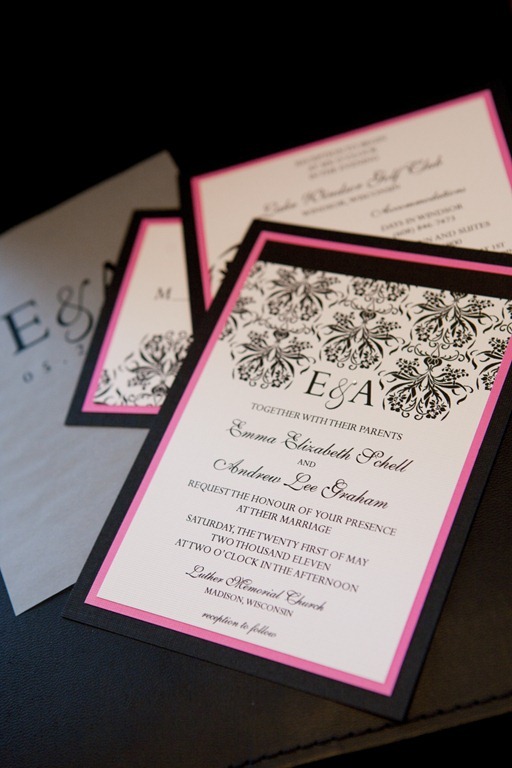 Posted in 2011 Goals, Goals and Resolutions, What's Up and Down and tagged damask wedding invitation, Hot Pink wedding invitation, MCM Portraits, pink wedding invitation, wedding invitation. Bookmark the permalink.